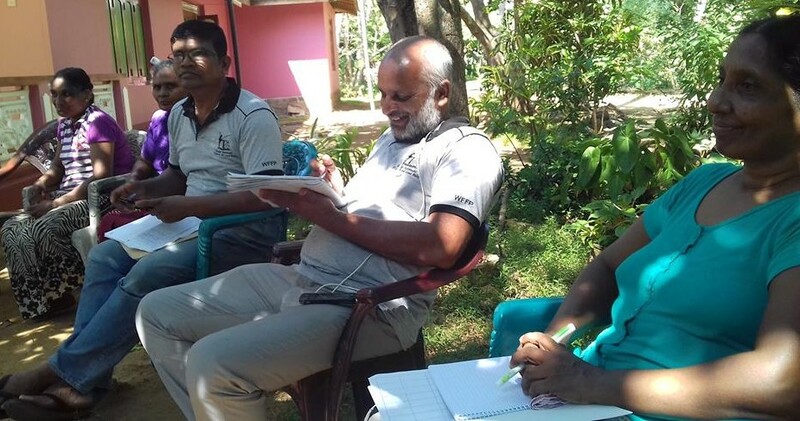 At the monthly meeting of the village community of Pelawatte ,Block 3 the progress of the completing of applications forms of 1/2 acre of lands prior to the mobile land registration office was discussed. 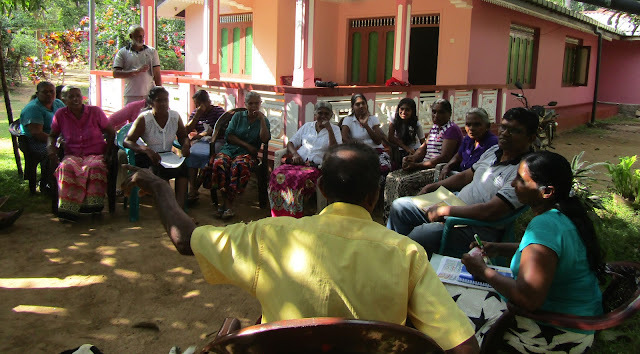 around 20 community members attended the meeting following the welcome words by Mr.jayaratne, the minutes of the previous meeting was read the secretary Mrs. Madhavee, the current status of the process of filling the application forms by the grama niladahri, related to the preliminary survey was explained by Mr. jayartne, information on one hundred and seventy seven 177 applications were filled and handed over to grama niladari for final compilation. it was pointed out by the Nafso animators the importance of completing those forms and submitting them to the divisional secretariat without delay. with regards to the improvement of the access road to the block3 was also commented on and the need of drawing the attention of the relevant authorities to repair it was also highlighted. they were also happy to announce that three members were given low interest loan of Rs.3000/- per person out of their membership fee and other savings. -write a common letter to the local government, divisional secretary, parliamentarians, potential candidates for local government election to be held, drawing their attention and demanding that road be repaired soon. - to review the progress of the above actions at the next monthly meeting.